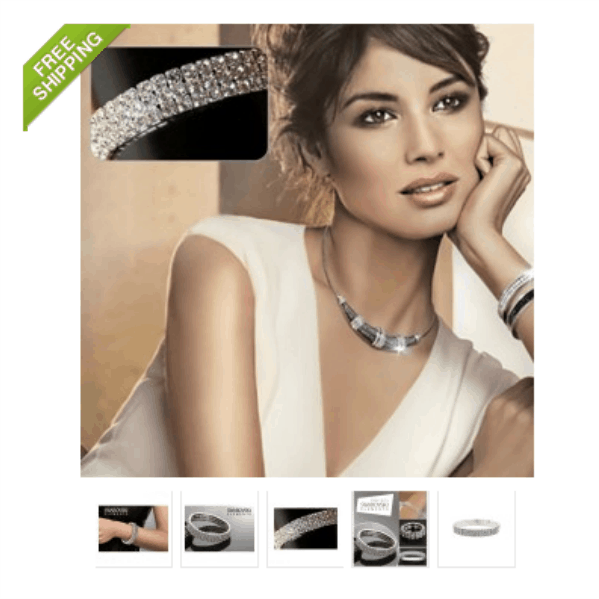 GORGEOUS Swarovski Elements Triple-Tiered Austrian Crystal Bracelet Only $6.99 + FREE Shipping (was $30)! You are here: Home / Great Deals / GORGEOUS Swarovski Elements Triple-Tiered Austrian Crystal Bracelet Only $6.99 + FREE Shipping (was $30)! Wow! This bracelet is so pretty, and I can’t believe the price! You can currently snag this gorgeous Swarovski Elements Triple-Tiered Austrian Crystal Bracelet for ONLY $6.99 + FREE Shipping (was $30)!